Hi guys, long time lurker first time poster. 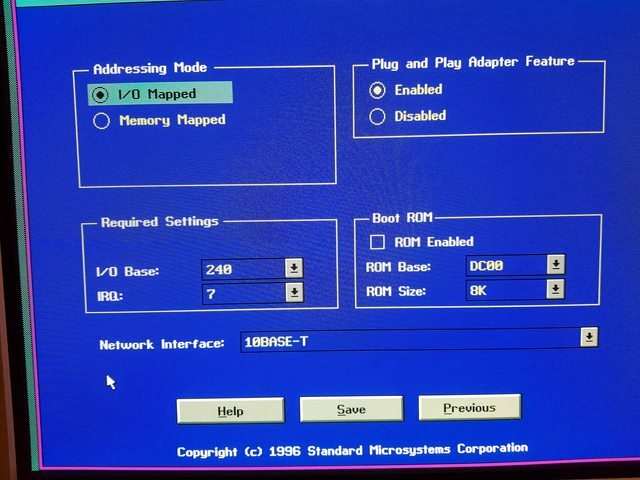 I'm having an issue with a network card on my 486 and I'm hoping somebody here might be able to point me in the right direction for a solution. I obtained the PC a few weeks ago and it's been going great, however it was becoming tiresome shuttling floppy disks back and forth as I copied games over from my main PC so I decided to invest in a network card so I could copy files over via FTP. I found a new-in-box ISA SMC EtherEZ 8416T on eBay, installed it and it worked great. I plugged it in and it worked great. 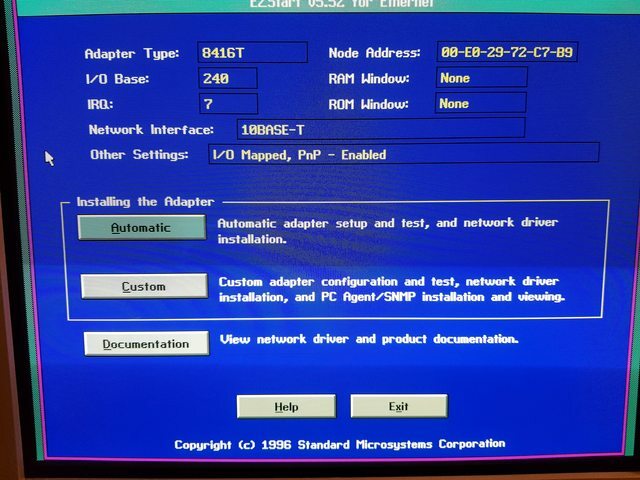 I formatted it, reinstalled DOS 6.22 and and Windows 3.11 from floppies and then began copying the essentials over from a backup of the old drive. I even copied the old autoexec.bat and config.sys because I've spent weeks tweaking the system and wanted a 1:1 duplicate of the old HD so I wouldn't have any headaches, but turns out I've got one anyway! 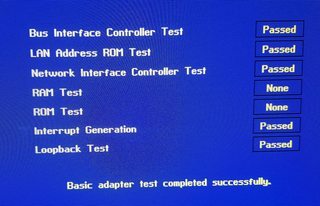 I've tried several different IRQ settings, disabling/enabling PnP etc. but nothing seems to have an effect. I'm hoping it's something simple I've forgot to install or configure but I've been at this for hours and my brain has stopped working. 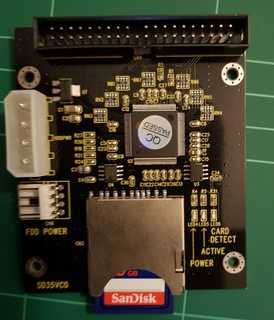 Hopefully it's not a problem with the SD to IDE adapter itself and how it uses system resources because it would be a real drag if I had to choose between it or keeping the network card working. Did you have to use a dynamic drive overlay to use the larger capacity of the SD card? It may have done some memory range remapping. The timer click, keyboard, real-time clock, and LPT2 are all in different I/O ranges. I'm not sure that can be a function of the SD adapter alone, since that should look like an ordinary drive on the IDE port. The IDE port itself didn't get remapped. 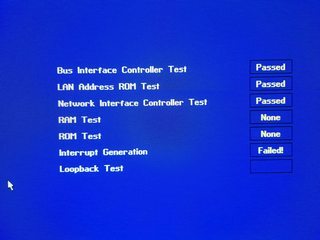 Looks like the LPT1 port's IRQ is conflicting with the network card. 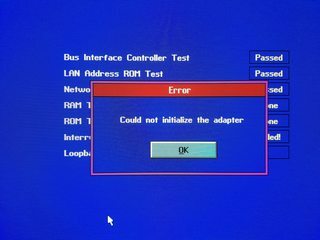 I'd disable the LPT1 port since that's the root cause, or change the IRQ on the network card to a different IRQ address. I had an issue with my network card not working in Windows (cannot detect the card) and it turned out the address space on my network card was using the same as the sound card's MPU-401 address space. Changed it, and it has been working ever since. Also, welcome to Vogons, mate. bjwil1991 wrote: Looks like the LPT1 port's IRQ is conflicting with the network card. Yet LPT1 using IRQ7 doesn't break anything when the mechanical drive is used. The IRQs aren't changing, the addresses are. This is why I suspect a DDO. No mention of it there, though. But the adapter should be transparent to the HDD controller, with the only change needed that the 2GB (or larger, I can't read the number with certainty) requires different geometry from the original HDD. Unless it did mean changing from CHS to LBA mode and that is what threw things around. Maybe clone the CF card, then switch back from LBA to CHS (with the reduced capacity as expected) just to see if things remap to match when the 170MB drive was used. Also, some 486 motherboards were stuck at the 504MB limitations, whereas later boards (like my old PCChips M912 v1.7 with genuine L2 cache) supported up to 7.8GB and what size is the SD card? My Packard Bell Pack-Mate 28 Plus would throw a fit if there was a hard drive bigger than 3.2GB installed, but, it'll detect my 4.6GB HDD as 700MB in the BIOS, but, with the XT-IDE Universal BIOS, it detects the full storage. Right, and enabling LBA in the BIOS for the ones that don't have the 504MB limitation could also result in these addresses moving around-- or it could be the DDO (if one was used) that did that. We'll have to wait for more information from the OP to know what's happening there. Thanks for your replies so far guys. I'm not running any DDO program. Although the SD card is 16gb (the smallest I could find) it detects at 528mb which is the largest the BIOS will support. Additionally my PC is an IBM that has a VERY limited set of features in the BIOS. I've never actually need one with so few options before. Accordingly there are simply no options for enabling or disabling LBA and other drive-related features.